George William Keeling was born December 4, 1928 in Dallas, Texas to Arthur & Sara Lillian Keeling. George passed away June 12, 2012 at Baylor Hospital in Dallas. He attended Dallas and Highland Park schools and graduated from SMU. He enlisted in the US Navy during the Korean War, attaining the rank of Lieutenant and served at sea as a navigator in the Atlantic, Arctic, Mediterranean, Caribbean, and the Middle East. On release from the Navy, he re-entered the construction business with his brother as Keeling Bros. Construction Co., building many churches and public buildings in the Dallas area. He later joined with Jack Frost to form Frost & Keeling Assoc. Inc., doing primarily Federal projects in Texas and Oklahoma. 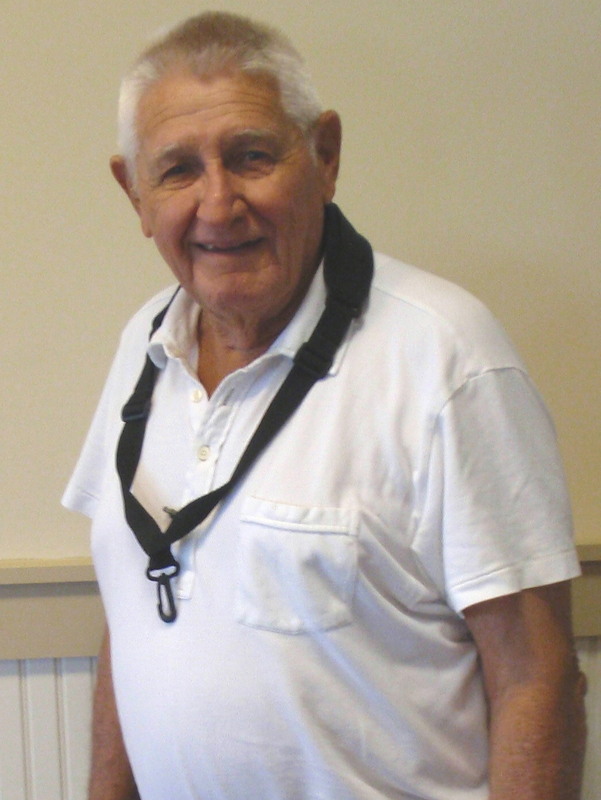 George was a lifelong Methodist and active in the Park Cities Rotary Club. Playing the saxophone was a great interest for George, along with music in general. He is survived by his wife of 59 years, Bonnie, his brother James A. Keeling, and four daughters, Julia Riddle, Carol Byrd, Martha Yelle, and Amy Matthews and their husbands and nine grandchildren. George was a co-founder of the Town North Band in 1968, playing continuously until recent years, when nighttime driving made the long trip from Rockwall difficult. He will be missed by all, particularly the band members.